This delicious recipe has been generously shared by one of our Lovefoodie supporters, Frances Carbone Hibberd. Frances is always cooking up something tasty, and here we have her delicious Buffalo Chicken Wings with a great Blue Cheese Dipping sauce to cool you down! Let’s check out how Frances gets these wings looking and tasting so good. 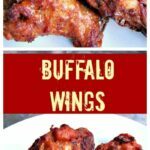 Franks Wings Sauce – if you cannot find it you can use regular hot sauce but you will need to add 2 tablespoons of butter and melt together. 3. Mix the flour and paprika together then dip the wings into the flour making sure you have coated it well . 4. Place wings into fry pan and cook 4 minutes on one side then turn over for another 3 minutes. When done, place on paper towels. here’s my little secret… when you pick your wings up with tongs squeeze it if you feel like the bone is sizzling wait another 2 minutes and its done..
5. Mash blue cheese with some of the mayonnaise until well blended. 6. Transfer to a food processor or blender, then add remaining mayonnaise with sour cream, milk, lemon juice, mustard, cayenne, garlic powder and pepper. Serve the wings with blue cheese dressing on the side and celery sticks as they calm the heat on your tongue and ENJOY! 8. 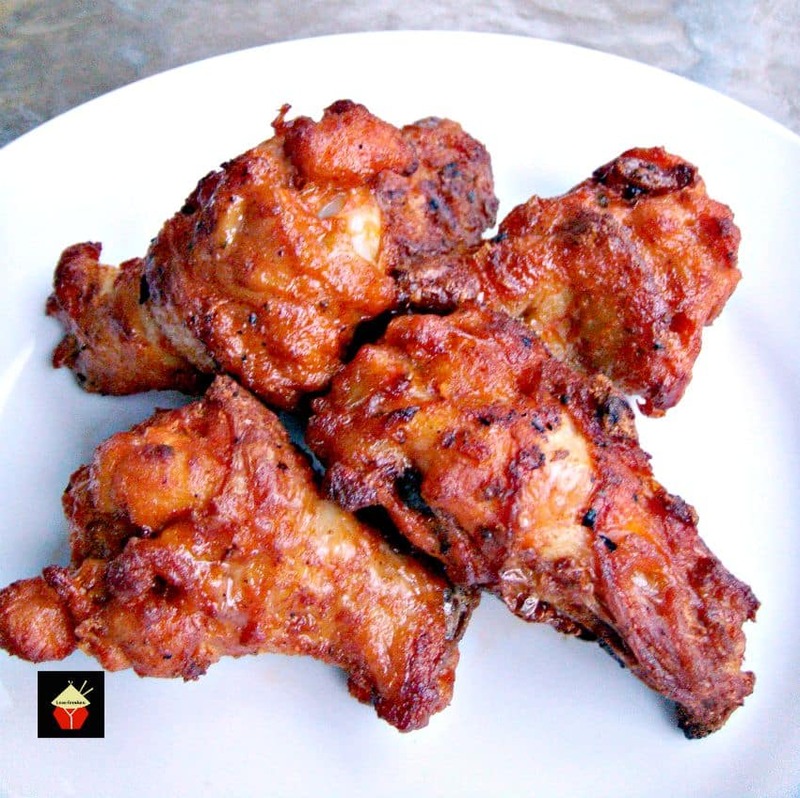 Place wings in a big mixing bowl and pour Franks Wing hot sauce over wings then stir to coat wings the more sauce you use the spicier it becomes so its to your taste. tablespoons Franks Wings Sauce - if you cannot find it you can use regular hot sauce but you will need to add 2 of butter and melt together. Mix the flour and paprika together then dip the wings into the flour making sure you have coated it well . Place wings into fry pan and cook 4 minutes on one side then turn over for another 3 minutes. When done, place on paper towels. here's my little secret... when you pick your wings up with tongs squeeze it if you feel like the bone is sizzling wait another 2 minutes and its done..
Mash blue cheese with some of the mayonnaise until well blended. Transfer to a food processor or blender, then add remaining mayonnaise with sour cream, milk, lemon juice, mustard, cayenne, garlic powder and pepper. 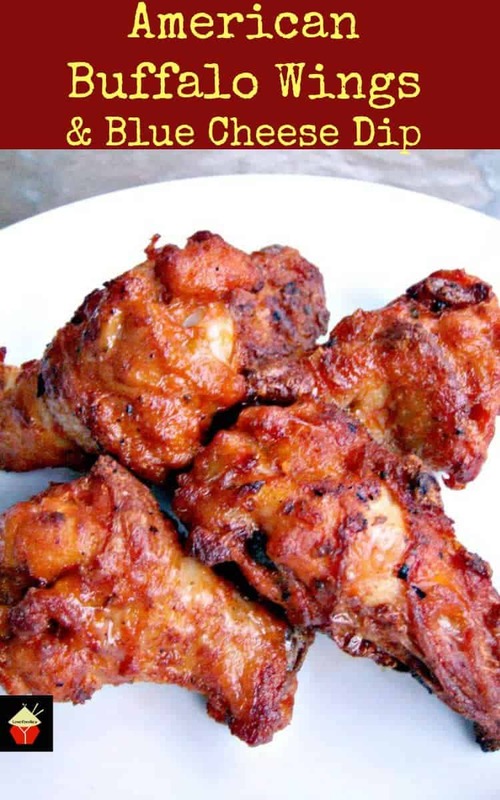 Place wings in a big mixing bowl and pour Franks Wing hot sauce over wings then stir to coat wings the more sauce you use the spicier it becomes so its to your taste.